In the early hours of a summer morning, a young woman steps into the path of an oncoming bus. A tragic accident? Or suicide? 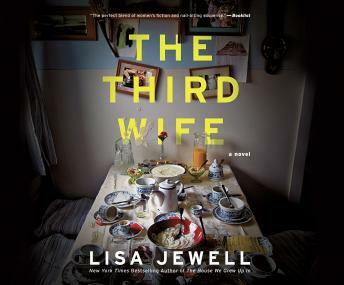 At the center of this puzzle is Adrian Wolfe, a successful architect and grief-stricken widower, who, a year after his third wife's death, begins to investigate the cause. As Adrian looks back on their brief but seemingly happy marriage, disturbing secrets begin to surface. The divorces from his two previous wives had been amicable, or so it seemed; his children, all five of them, were resilient as ever, or so he thought. But something, or someone, must have pushed Maya over the edge. Fans of Liane Moriarty and Jojo Moyes will be captivated by this riveting family drama with a dark mystery at its core.